With the horror business booming, Javier Botet has had plenty of opportunities to bring his unique physicality to the screen. His latest vehicle is MARA, just out in select theaters and on VOD, and we got an exclusive chat with him about this film and noteworthy parts past and future. 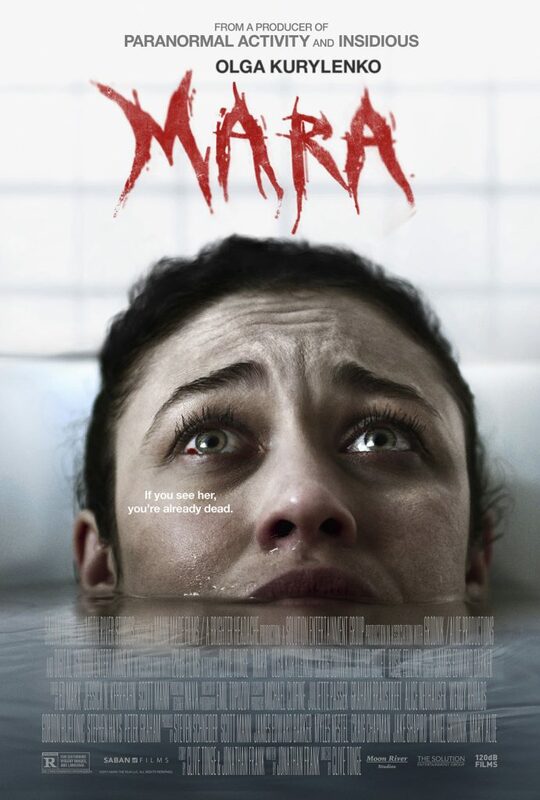 In MARA, directed by Clive Tonge, Botet has the title role of a demon that haunts victims afflicted by sleep paralysis, and is investigated by a criminal psychologist played by Olga Kurylenko. It’s his newest addition to a rogues’ gallery that began with his breakout turn as “the Medeiros girl” in Jaume Balagueró and Paco Plaza’s modern classic [REC], which he reprised in the subsequent sequels. Since then, he’s played the maternal ghost in MAMA, multiple spirits in CRIMSON PEAK, THE CONJURING 2’s Crooked Man (currently set to get his own screen showcase), KeyFace in INSIDIOUS: THE LAST KEY and the Internet fiend of SLENDER MAN, with more to come. How did you bring the character of Mara to life? Well, basically I tried to find points in common with the director, and talked with him to see what he wanted me to create. I know my body better than anybody, so I gave them my ideas, and when I read the script, I saw that this creature, this spirit, has a story, so I started to read up on the Internet about this phenomenon, to research things that could help create the character. It was actually easy, because Clive Tonge gave me a lot of freedom. We didn’t use much makeup, so that gave me freedom to move, and a lot of her movements, we created together to come up with something special. It was a small group, a small team, so we were very close and it felt very comfortable. Mara is part of people’s nightmares, that they see when they are paralyzed—but she’s a little hard to see. You can see her shape, her shadow; she’s not a creature where you can see everything. She’s like a sketch of a monster, so it’s more about a sensation, a fear, than an actual being. There are maybe two moments when you can see more, but most of the time, it’s a vague sensation of her. Did you do any research into sleep paralysis to prepare for the role? Yes—in fact, about 10 years ago, I suffered a kind of sleep paralysis, but it was different. I’ve watched the documentaries, and I know that everybody sees and feels different things. I felt, in my paralysis, like I was going to die because I stopped breathing, but nobody was there. I couldn’t breathe, but I was totally awake, and paralyzed. I was focusing on moving just one finger, because I thought that if I moved a little part of my body, after that I could move everything. It was a very uncomfortable experience that happened for a year, and doctors were doing tests on me. So I had my own research from real life, but I was given more reading and documentaries to look at. It helped to know what I was doing to people as Mara. Mara is one of a few female ghosts and demons you’ve played. Do you do anything different physically when you portray a female character? I always put a little more fragility in the movements when I do a woman character. Maybe it sounds sexist, but I do little things with the wrist movement, the position of the elbows, the shoulders. But when you’re playing a creature, it mostly doesn’t matter if they are male or female; there is not a very big difference. In the end, they are like animals, and they move based on their instincts, their needs. How did you land your career-launching role in [REC]? That was only the second year or so that I’d been working in movies. I started on a film called BENEATH STILL WATERS, directed by Brian Yuzna, and after that, the makeup people involved with it started suggesting me for other roles. One of the guys who worked on that movie, David Ambit, when he started approaching the Medeiros role in [REC], he proposed that they should use me. It was a small and inexpensive movie, and everybody thought it was going to be fun, but not very significant. We did it with all our love, but in Spain, it was very strange to be doing a horror film this way, very cheap with the moving camera. We didn’t expect all the success it had. We changed a lot of things at the last minute on that movie. Originally, I was going to be another character—a male character. I was going to play the priest who was taking care of the Medeiros girl, because supposedly he killed her and then kept researching with the chemicals, with the blood, with everything in his own body, so he was almost a monster. But on the last day before we shot my scene, they changed everything. I came to the set and they told me it was going to be different, even though David Ambit had already prepared the teeth and the pieces that were going to be on my body. That was a shock, but I was very happy about this change, because I thought it was so creative and creepy. So I had one night to think about how I could play a girl in that situation. Did you actually shoot the Medeiros girl scenes in the dark with night vision, and if so, did that pose any problems? 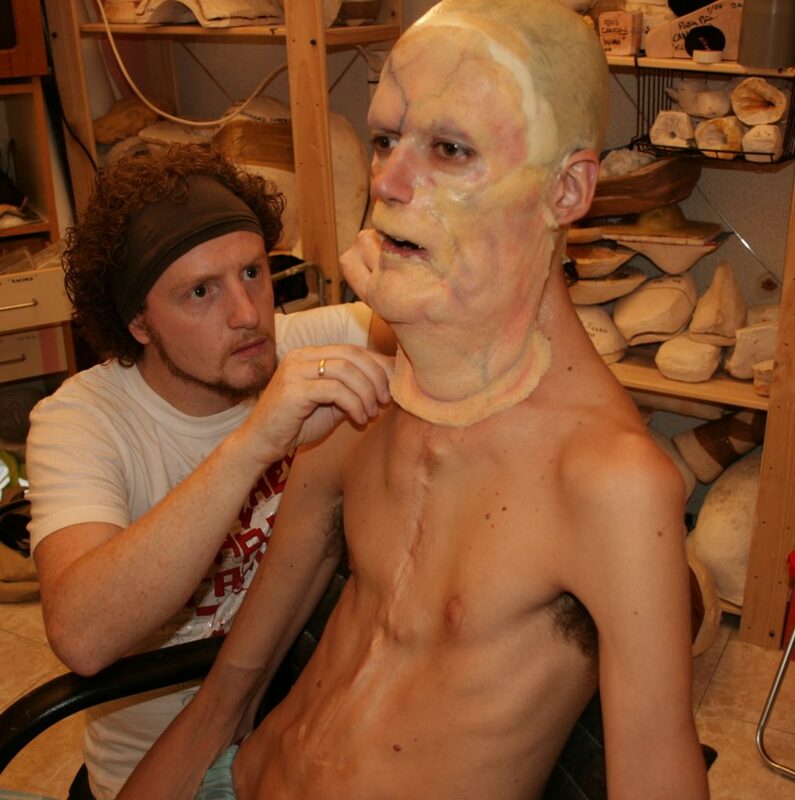 Yes—you know, it was after eight hours of makeup, because this was the first time we applied the final prosthetics. We started shooting in this space, and it was not totally dark, but there was very little light, so it was difficult. We broke a lot of things, because I used a real hammer at some times, so it was a little dangerous, but I think it came out brilliantly. Can you talk about your collaboration with MAMA producer/CRIMSON PEAK director Guillermo del Toro? I met him when I was working on MAMA, because he was living and working at Pinewood Studios in Toronto. He was shooting PACIFIC RIM at the same time we were filming MAMA in another part of the studio, so he was always coming to see how the shoot was going. After that, he directed me in a little part in the first episode of THE STRAIN, and after that we did CRIMSON PEAK, and now we’re going to work together again because he’s producing SCARY STORIES TO TELL IN THE DARK, and I have a little part in that. He is very kind, a nice guy, and it’s amazing how he works. He’s really passionate, and makes everything very clear when he’s shooting. He does a lot of preproduction, so everything is ready and under control, and he’s very calm. It’s very easy to work with Guillermo. Can you say what role you’re playing in SCARY STORIES TO TELL IN THE DARK? No, I can’t say—like in IT: CHAPTER TWO, I can’t tell you what I’m doing there either. On a movie like MAMA or CRIMSON PEAK, where your character is digitally augmented, are you still there on set with the actors? Yes, I’m always with the actors in those situations. The only movie in which I did a role where I was not on the set was ALIEN: COVENANT. I did motion-capture work, so I wasn’t with the cast. I did my movements in a different place, so I never was with Michael Fassbender in real life—but in digital life, I was with him! You and Doug Jones have cornered the market on creature performances. Do you feel any sense of competition with him? No, no, I love Doug. I just worked with him a few weeks ago on STAR TREK: DISCOVERY, we did CRIMSON PEAK together, and I would love to work with him many times more. There’s a lot of work out there for us, so maybe it is a friendly competition; he inspires me to work hard, and I hope I inspire him to work harder!